Miele has just introduced a brand-new bean-to-cup coffee machine called the CM5500. Before we get onto how great it is at making coffee, we think the most important new feature is that it comes in a rather fetching rose gold. It should arrive at around about the same time as the new 'Blush Gold' iPhone 8, coincidence? Yes, probably. Now onto the coffee making - Miele's new machine features an integrated conical grinder made from non-abrasive steel, which results in an even and precise grinding of beans. 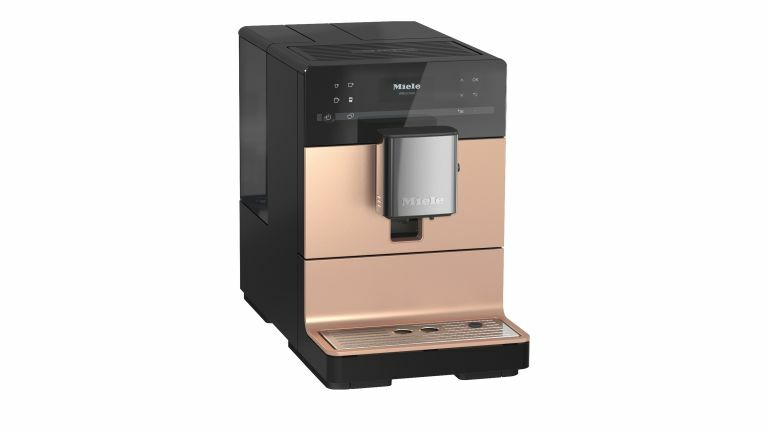 This works in tandem with Miele's intelligent AromaticSystem producing a perfectly brewed espresso, coffee or ristretto with a great crema every time. If you're a social fellow, and enjoy drinking coffee with a partner, the 'One Touch for Two’ function provides two cups via a central spout so there is no need to juggle cups. You can also set up four user profiles to customise your favourite beverages. The new machine is available from October 2017 priced at £799.